Senior Author: Omar P. Sangueza, M.D. Editorial Board Member: Robert E. LeBlanc, M.D. Cite this page: Sangueza, OP. 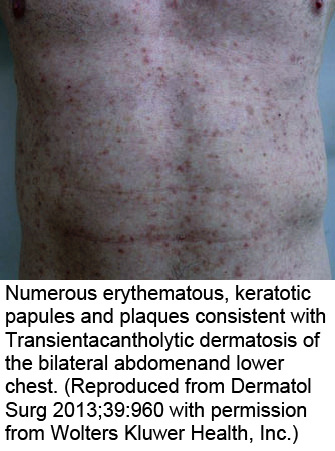 Transient acantholytic dermatosis (Grover disease). PathologyOutlines.com website. 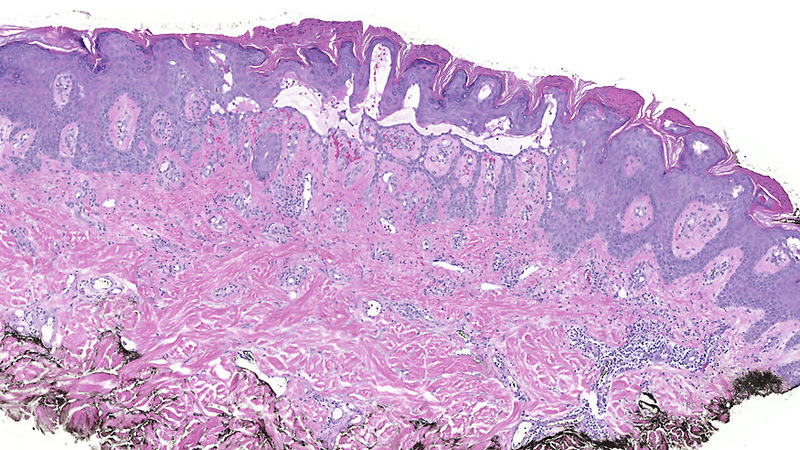 http://www.pathologyoutlines.com/topic/skinnontumorGrover.html. Accessed April 24th, 2019. Contributed by Omar P. Sangueza, M.D. A white, elderly male presented with multiple pruritic papule involving the trunk. Which of the following is true regarding the diagnosis of this lesion? 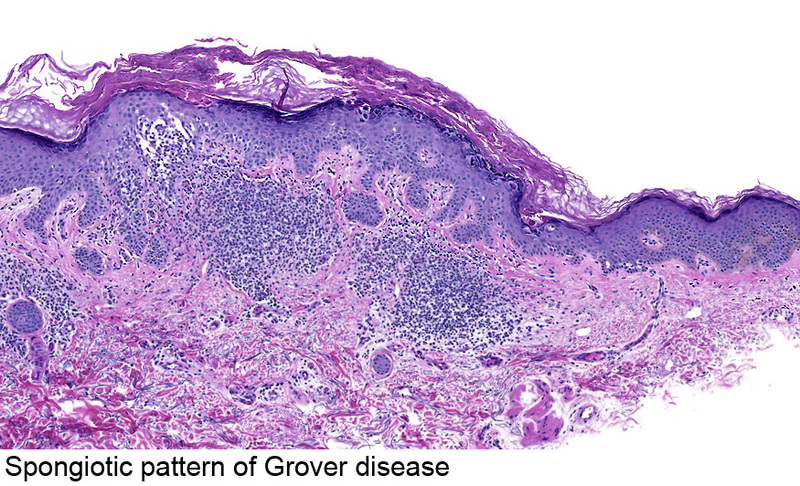 D. Transient acantholytic dermatosis (Grover disease) can mimic variable vesiculobullous entities, especially pemphigus vulgaris, Darier and Hailey-Hailey. Differentiation depends on clinical presentation, microscopic findings and direct immunofluorescence findings. 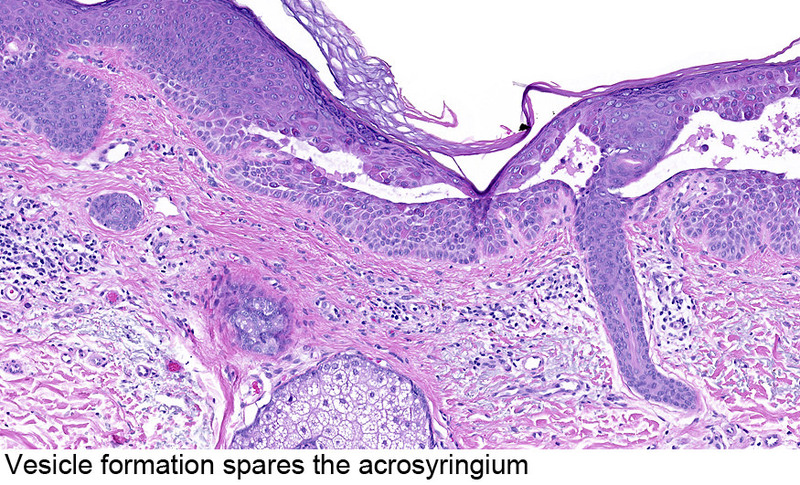 One microscopic finding that can help to differentiate between pemphigus vulgaris and Grover disease is adnexal structure and acrosyringium involvement in the former. Which of the following case scenarios is typical for transient acantholytic dermatosis (Grover disease)? 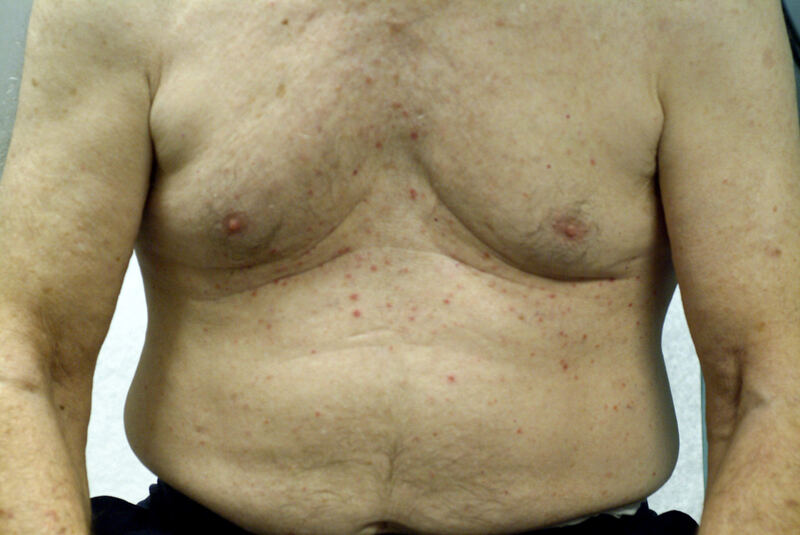 D. Transient acantholytic dermatosis (Grover disease) is most common in middle aged to elderly, Caucasian men. 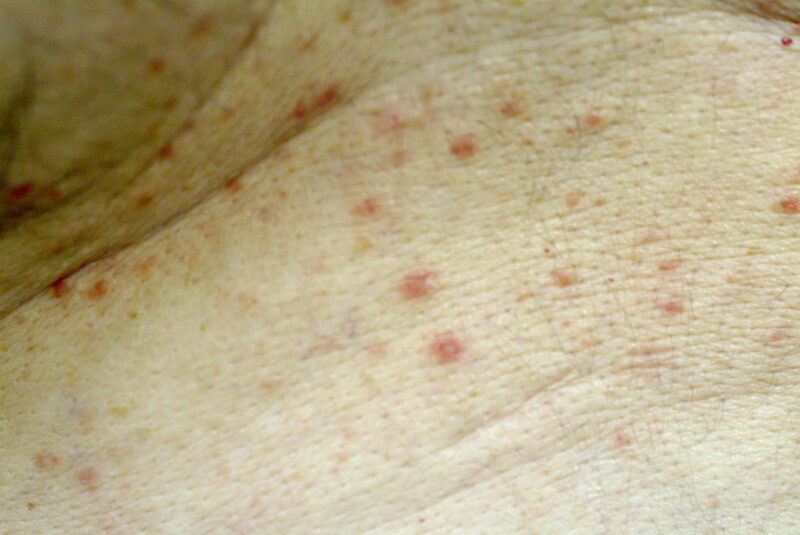 It most commonly manifest as a vesicular eruption of the trunk.